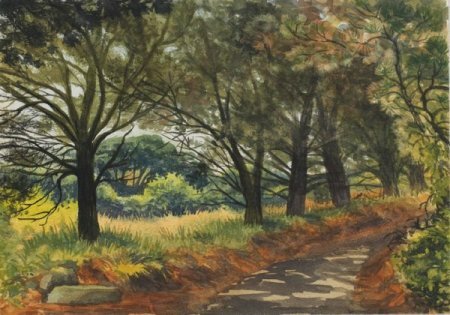 Captivated by the natural beauty of Guernsey, Valerie Baines has been visiting the island, and painting its delights, for more than 40 years. 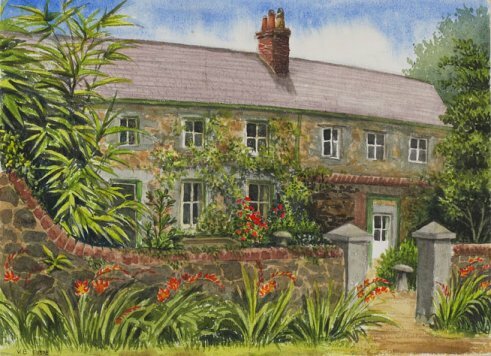 The stunning coastal views, charming historic buildings, secluded rural paths and glorious wild flowers are all captured in Valerie's exquisite watercolour paintings. 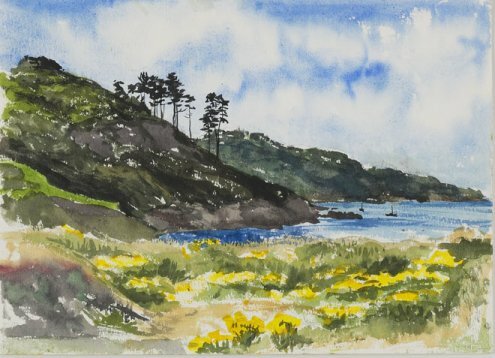 From the harbour at St Peter Port to cliffs strewn with gorse, from rocky bays to wild orchids, Guernsey's rich history and abundant habitat are brought vividly to life by this gifted artist. 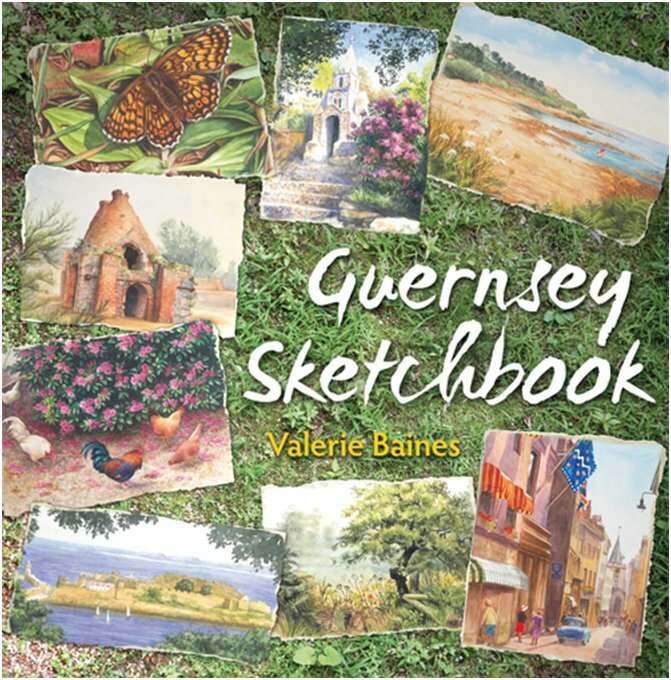 An interview with Valerie featuring many illustrations from Guernsey Sketchbook. 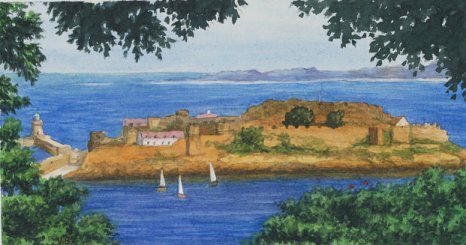 Castle Cornet, St Peter Port, looking towards Sark (founded in 1204 by King John). 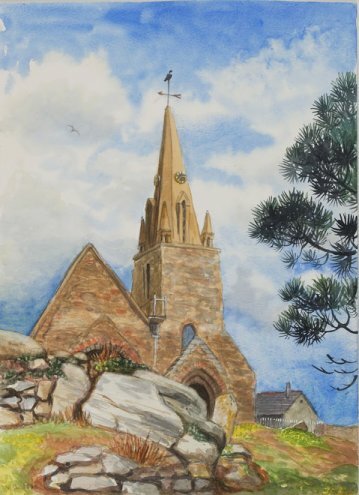 Part of Guernsey's charm is the outlying islands, all very different in chracter. Sark with its Seigneurie gardens, no cars, just horse-drawn carriages, bicycles and the odd tractor; Herm with its shell beach; and windwsept Alderney. Vale Church, built by monks from Mont St Michel in Normandy in the twelfth century. The huge stones in the foreground are the partly demolished remains of a Neolithic tomb. Icart Point is an excellent viewpoint from which to enjoy the panoramic views across the Moulin Huet Bay, and Jerbourg Headland to the east, Petit Bot and La Moye Point to the west. 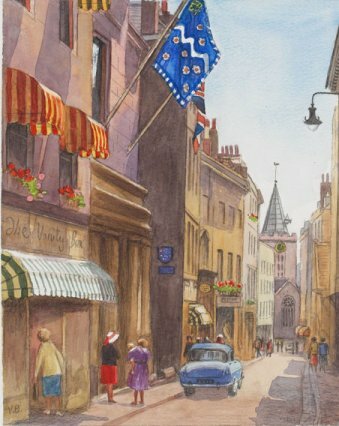 High Street, St Peter Port, 1968. A quick sketch of the Pine Forest, Divette.